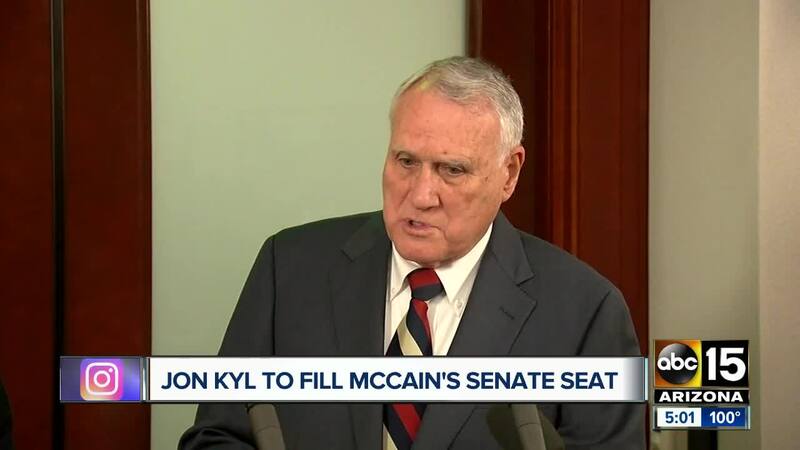 Former Arizona Sen. Jon Kyl will return to the U.S. Senate to replace John McCain. "It's not the time for newcomers and not the time for on-the-job training," Arizona Gov. 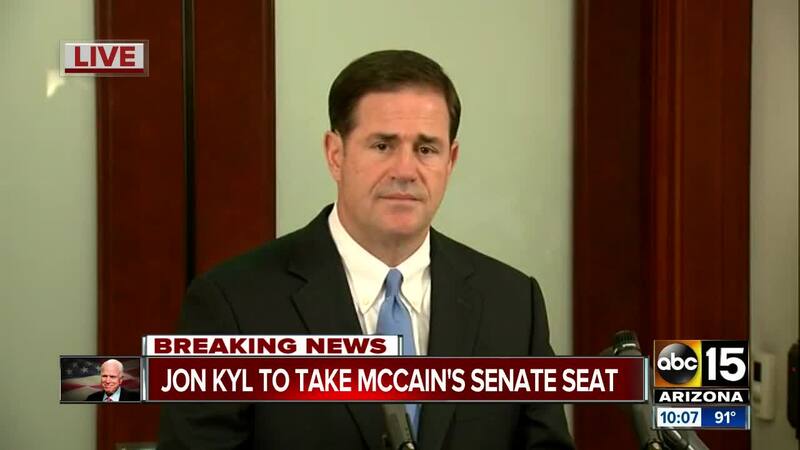 Doug Ducey said Tuesday morning during a press conference about the selection. "Arizona needs someone that can hit the job running. 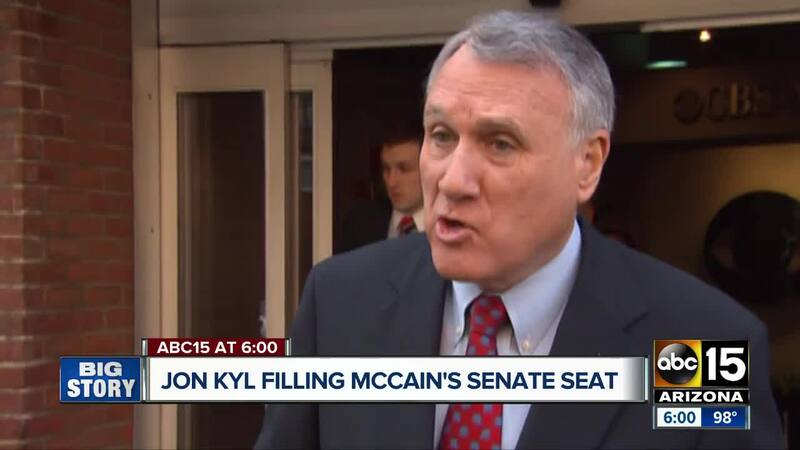 That's Jon Kyl." 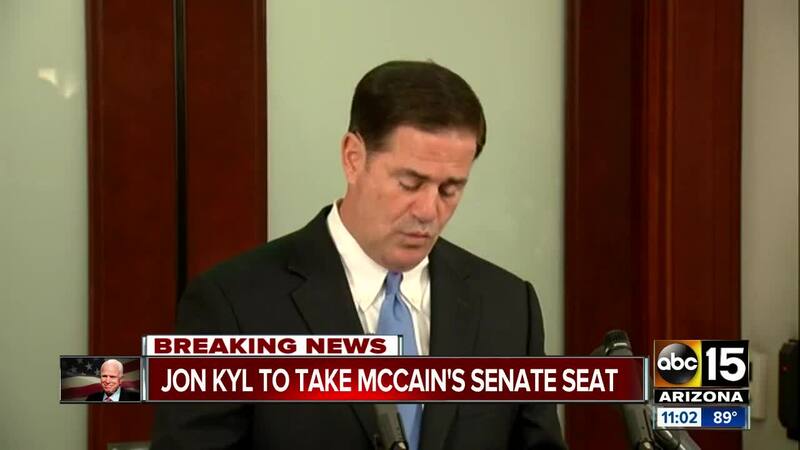 Kyl said he will remain in McCain's seat for the remainder of the second Congressional session, which ends this year. He has not yet committed to anything beyond that. "I look forward to going to Washington and getting the work done," Kyl said at the press conference. "John [sic] Kyl is a dear friend of mine and John’s. It’s a great tribute to John that he is prepared to go back into public service to help the state of Arizona," she said in a tweet Tuesday morning. Kyl served in the U.S. Senate from 1995 - 2013. Before that, he worked in the House of Representatives from 1987 - 1995. Since retiring in 2013, he has worked at a senior of counsel at Covington and Burling LLP. Sen. McCain was laid to rest last week after a year-long battle with Glioblastoma, an aggressive form of brain cancer. 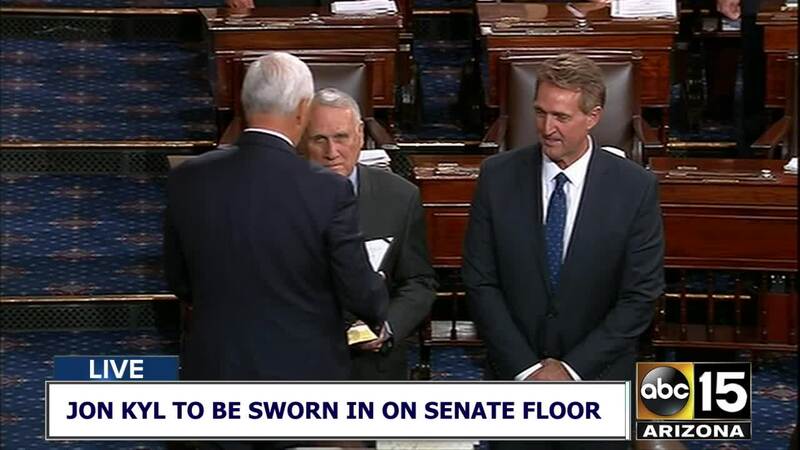 "Jon Kyl will be an extraordinary Senator representing an extraordinary state, Arizona. I look forward to working with him!" President Donald Trump said in a tweet.